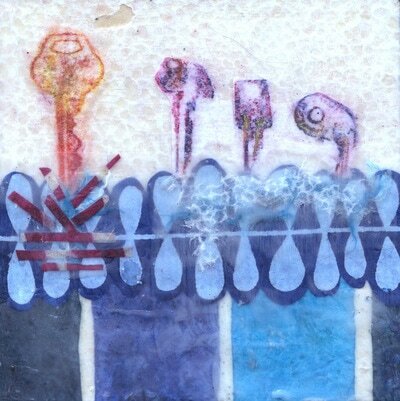 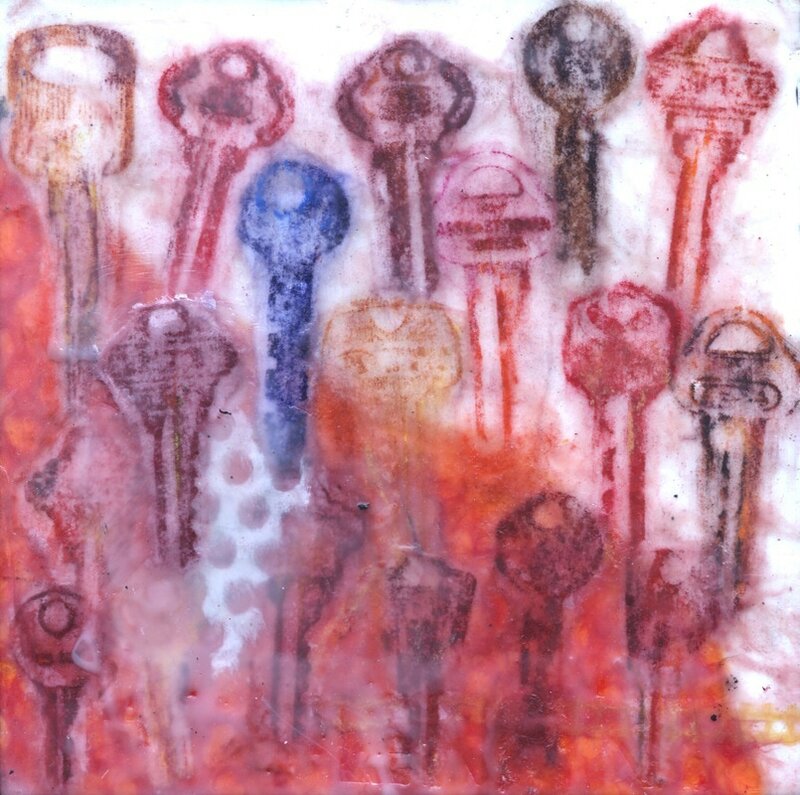 In these pieces, I choose to anthropomorphize or give human qualities to keys. Each key represents a person or people in a variety of situations. Keys are powerful objects that are used everyday. 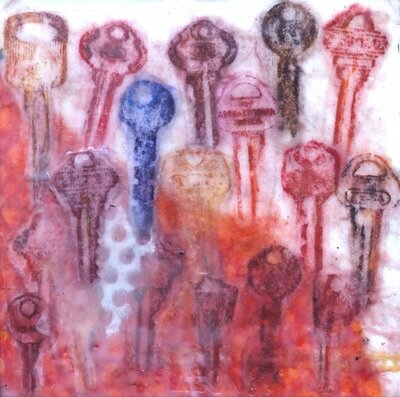 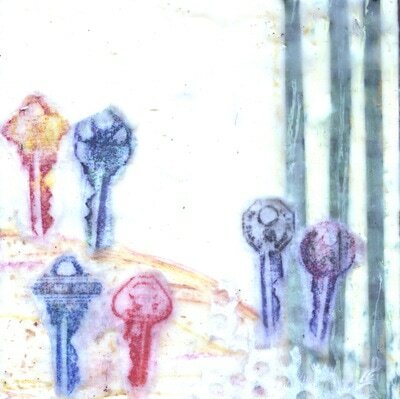 The selected keys in each panel was once handled and used by an unknown person in an unknown place. 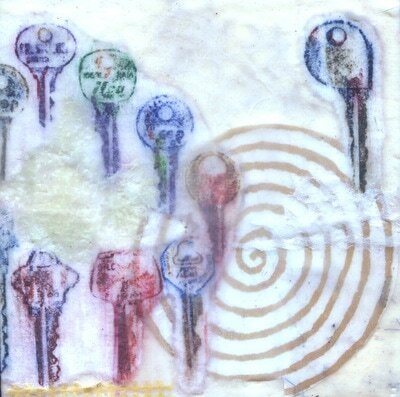 Their use in this artwork connects these nameless people over time and space. 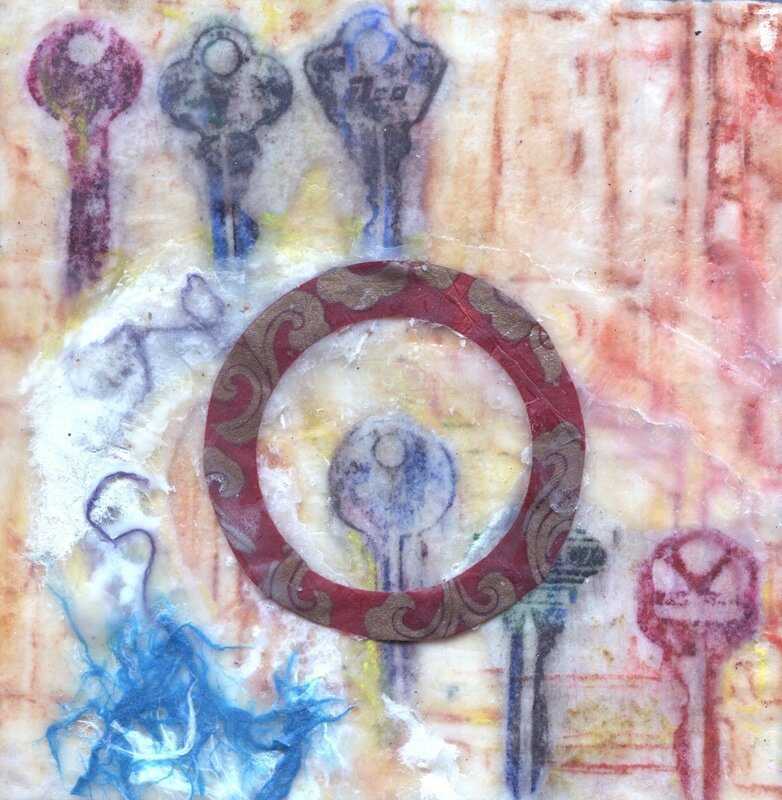 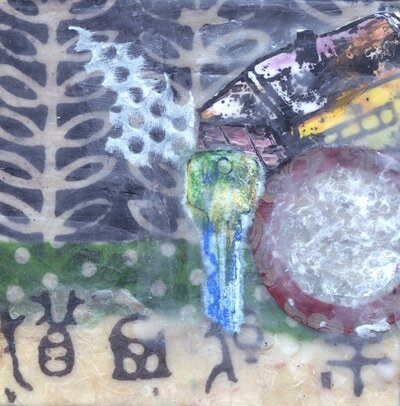 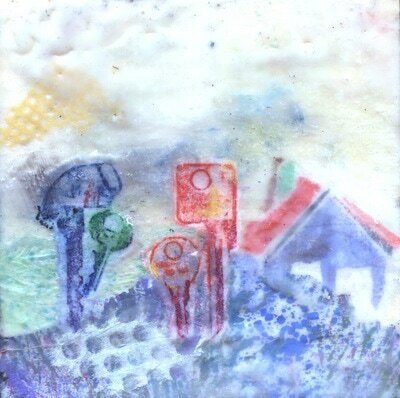 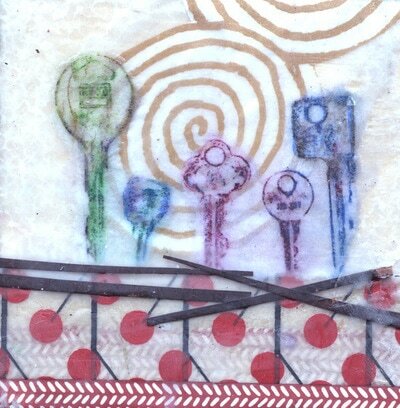 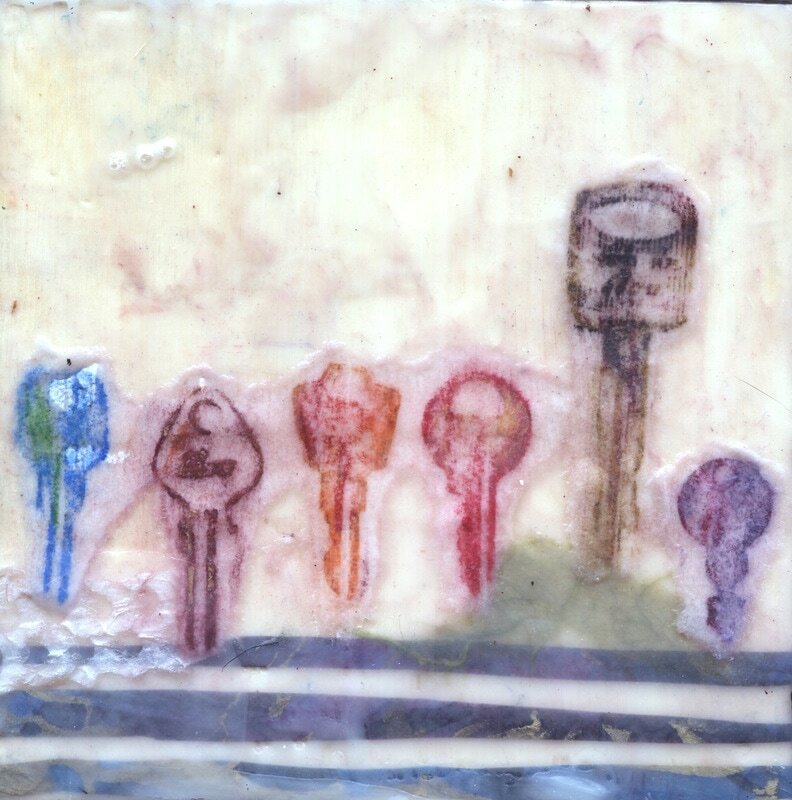 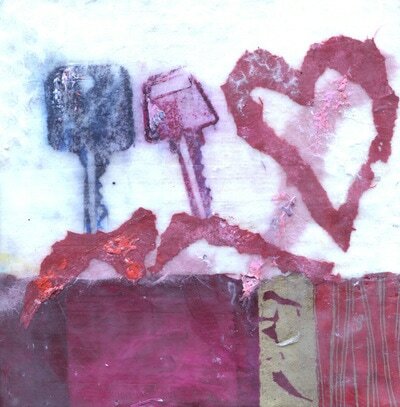 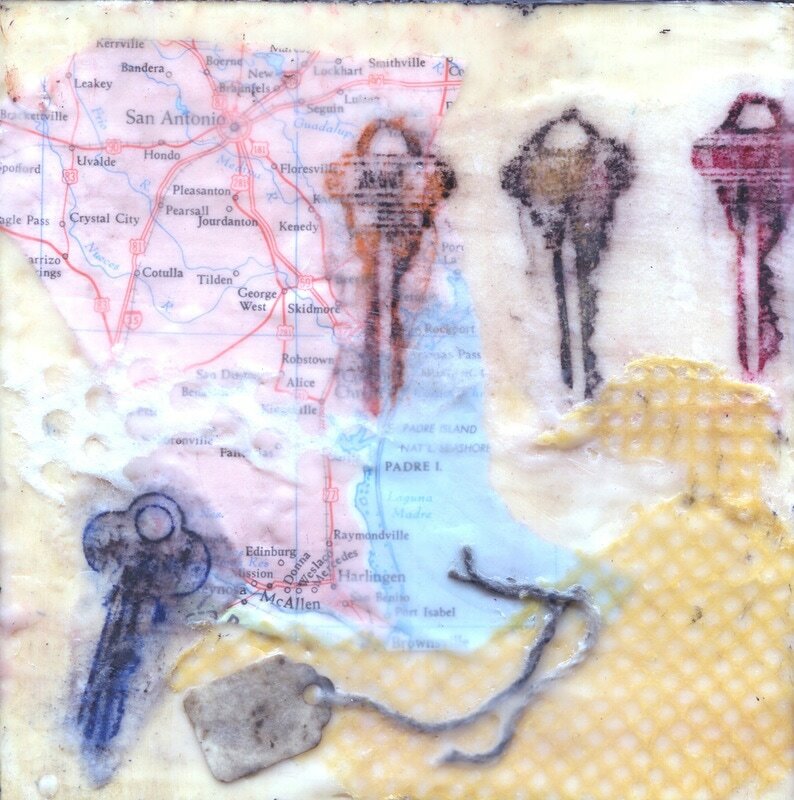 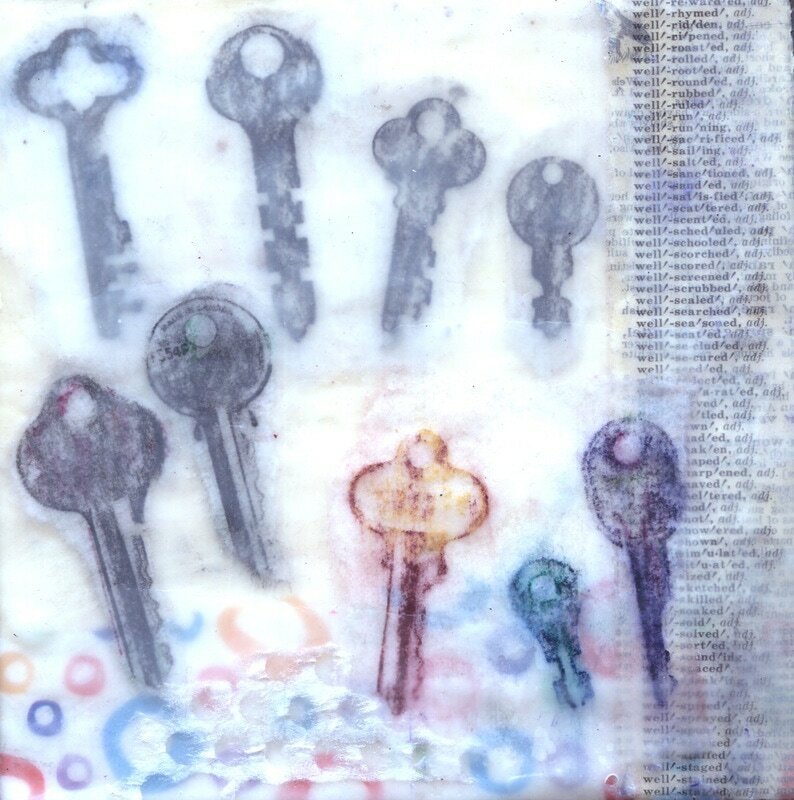 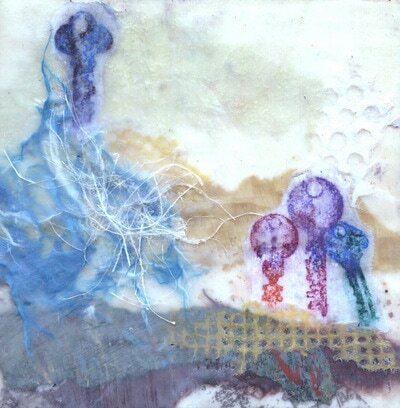 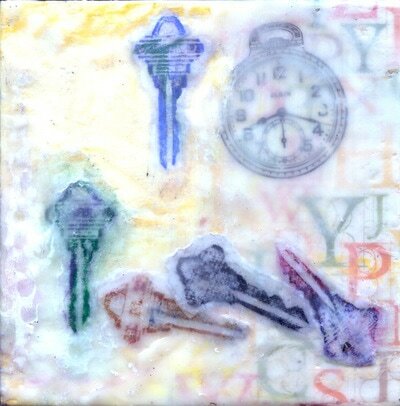 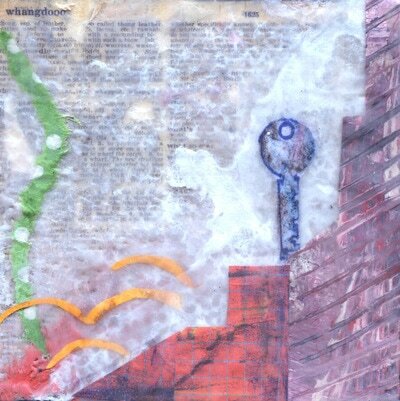 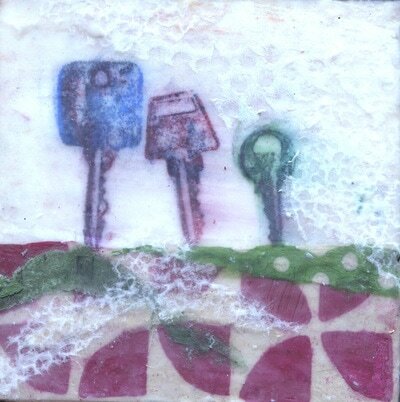 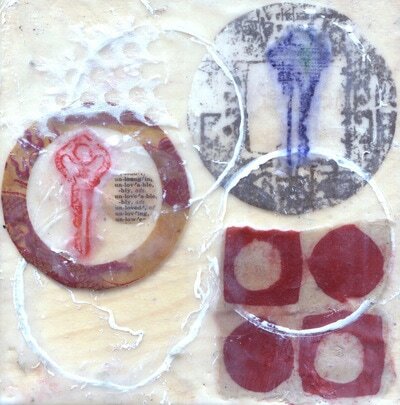 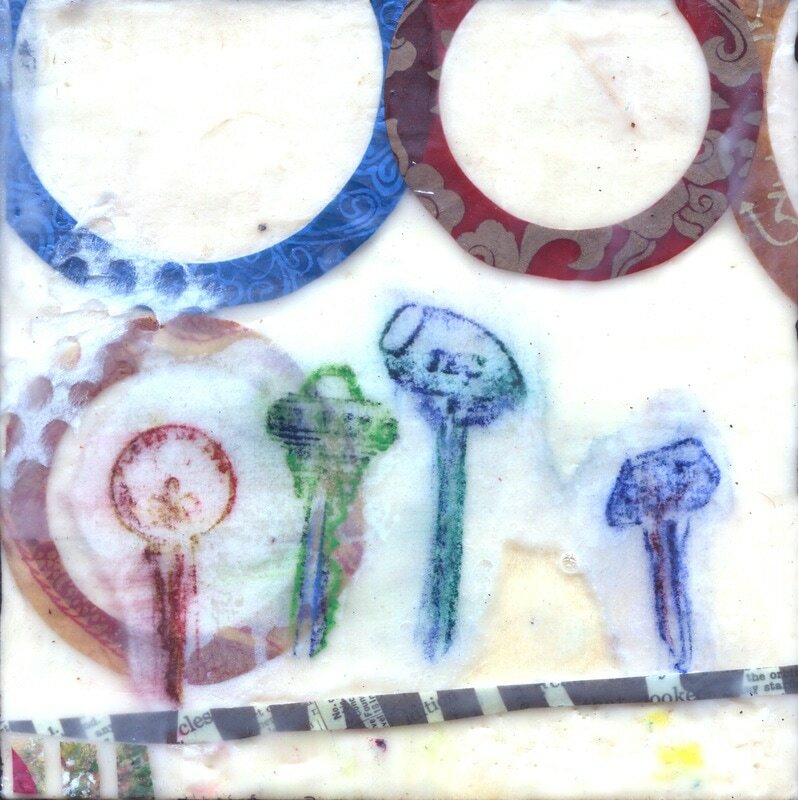 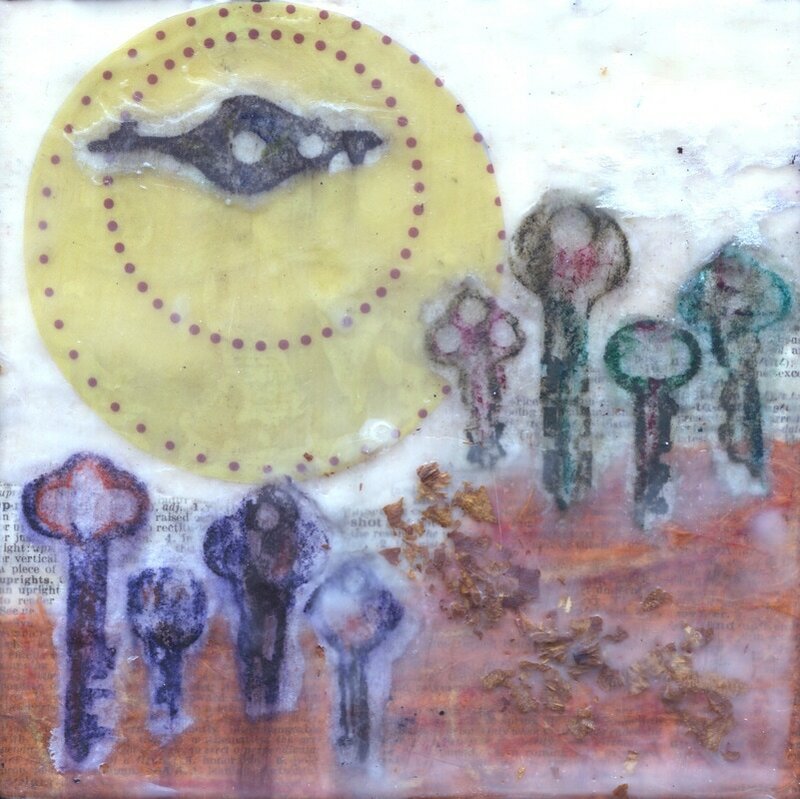 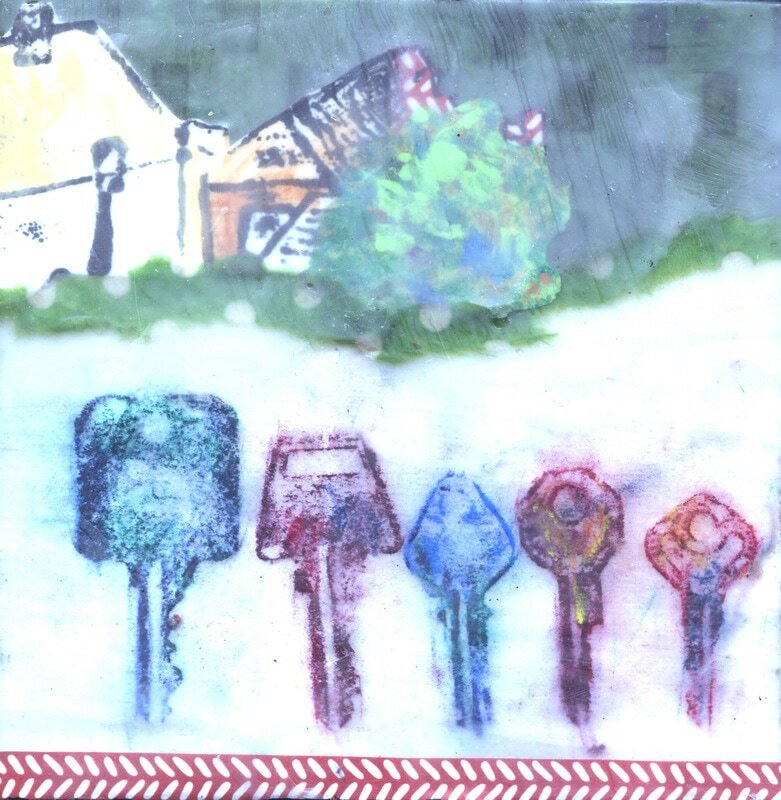 Each 6 x 6 birch wood panel includes rubbings of keys, along with parts of original prints which have been revised, reworked and layered with painted papers then finished with encaustic paint. 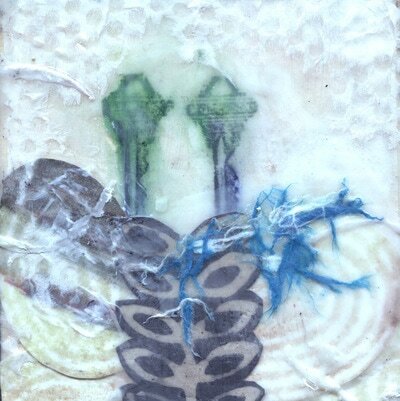 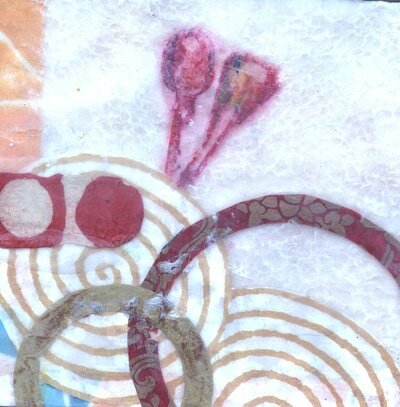 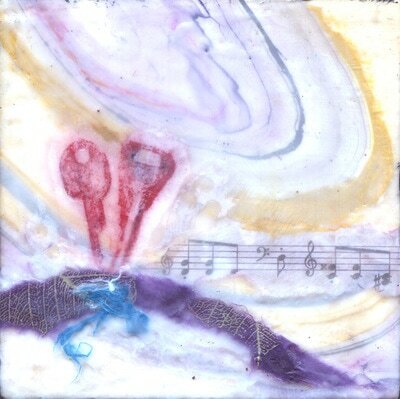 Encaustic panels are durable and long lasting. 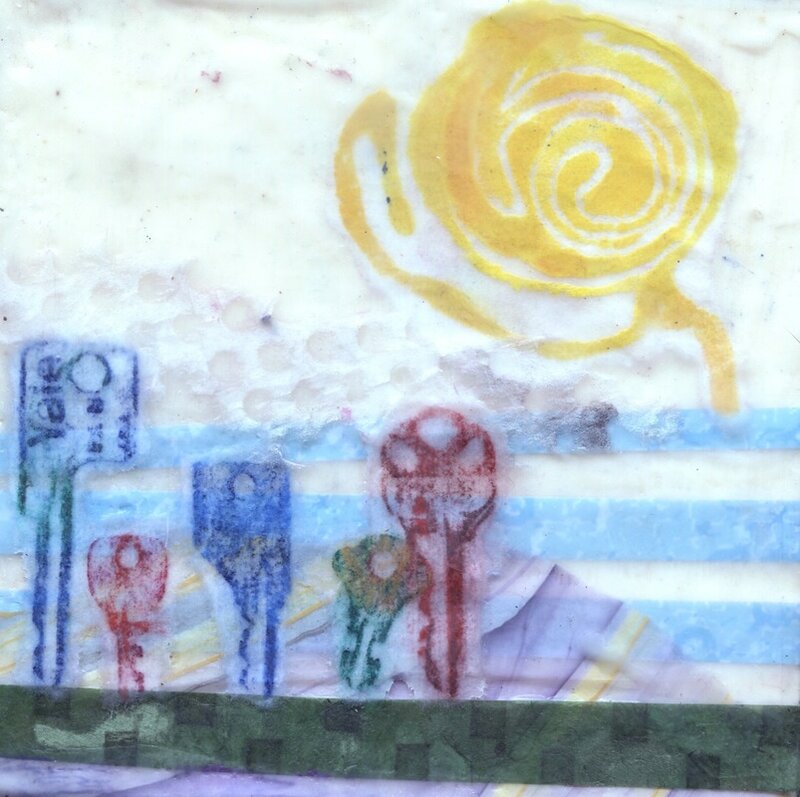 Do not hang in direct sunlight.